Get inspired to add egg salad back into your regular recipe rotation. 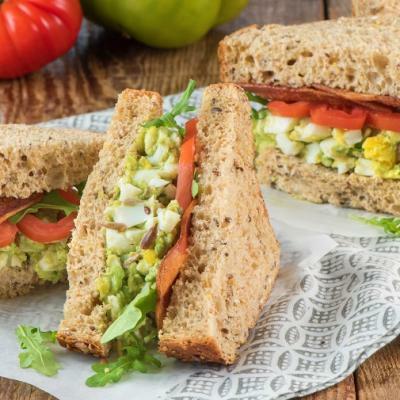 Not just for crustless sandwiches at the company luncheon, egg salad makes a quick and easy filling for wraps, pitas, sliders and more! The trick to making egg salad so versatile is to experiment with a variety of add-ons. Start with the Basic egg salad recipe, combining hard boiled eggs with mayonnaise, green onion, Dijon mustard and garlic powder, then try adding your own flavour variations. 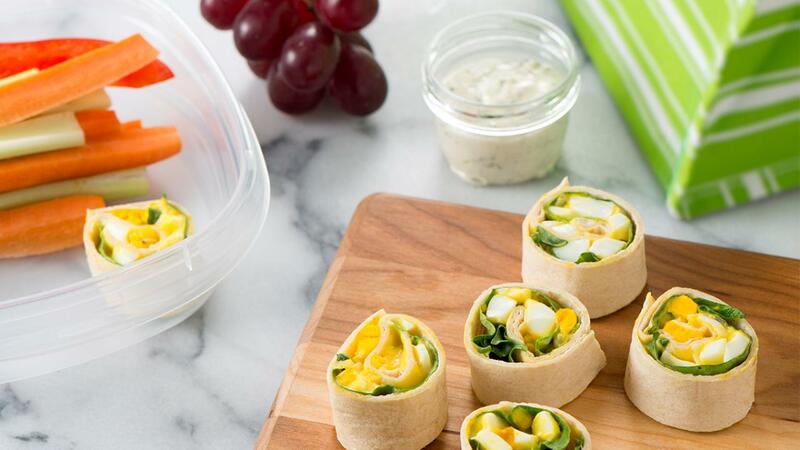 For example, Cheddar cheese keeps the flavor popping in these Sunrise Egg Salad Melts, while relish delivers some dill crunch to these Egg Salad Pinwheel Wraps. Egg salad makes an ideal meat-free option in these Avocado Egg Salad Sandwiches. 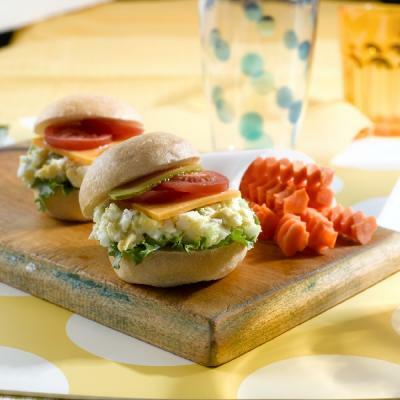 Egg Salad Sliders are great as finger food for the kids or appetizers for a group. These Dill Bread with Egg Salad and Apple Bites are another tasty starter, courtesy of Chef Marysol Foucault. You can swap the Dungeness crab for pre-cooked shrimp or smoked salmon in this Dungeness Crab and Devilled Egg Salad, great for lunch or dinner. 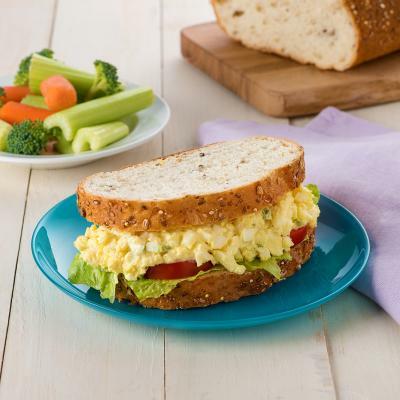 Whether you keep it simple with mayonnaise and green onion, or load it with finely chopped vegetables, spices and more, egg salad is a great filling that can be made in advance and kept refrigerated for quick and easy lunch and dinners!